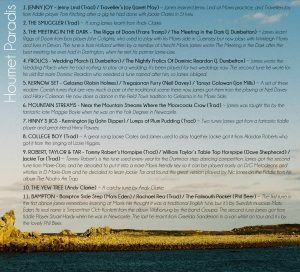 This album is James’ first solo release. 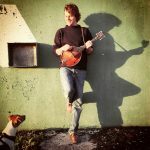 James decided to make a mandolin album after having a new Mandolin, made for him by Andy Manson (andymanson.com). 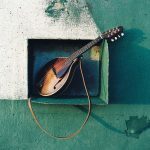 Joined by his friend and Bouzouki player Andy Clarke; Andy’s Bouzouki was also built by Manson and was catalyst that persuaded me to have my Mandolin built by the same maker. 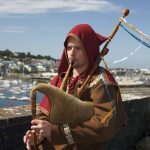 The material on the album is heavily influenced by James’ involvement with the local Guernsey-based Morris side, Belles and Broomsticks. 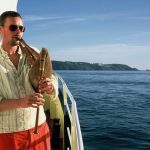 The album also includes some traditional songs from Devon, Scotland & Ireland as well as some original tune compositions. 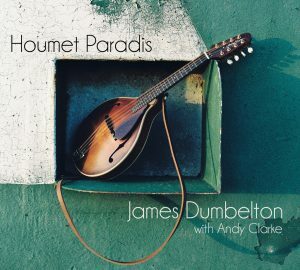 …virtuosic profundity, that displays great sensitive and understanding of the instrument, Houmet Paradis is enchanting from beginning to end. 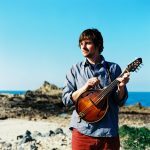 …James Dumbelton, a regular collaborator with Jackie Oates and Jim Causley, robustly exploring the mandolin in British folk. 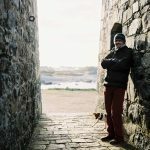 … his simple, direct approach to those tunes produces some delightful results.